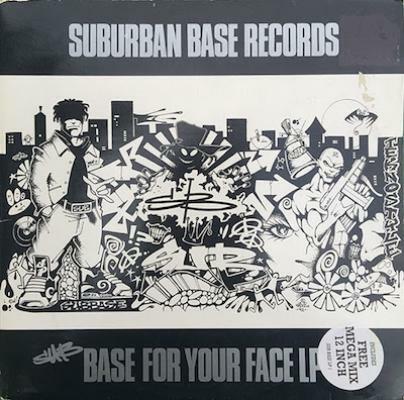 The For Your Face LP was put out by Suburban Base in 1992. I had just moved back to London with my mum and prior to that, my older brother was a DJ, which is how I got into rave music and DJing, and he was living with my nan and grandad in London. He was involved in the warehouse rave scene and sent a tape down to my sister Vonnett called Barry’s “Da Mix”. I nicked the tape from her bedroom and I used to listen to it on my headphones to fall asleep, and it had a track called ‘Far Out’ by Sons Of The Loop Da Loop Era as well as a lot of other classic stuff from that time. Prior to this, I had grown up on my mum’s record collection – a lot of reggae, rock, classical – and I heard the tape and thought, “Oh my God, what is this?” This was my generation’s music. This album represents my introduction to my musical identity, and discovering music that was mine.